The Bank of Canada will likely mimic the U.S. by instituting its own rate hikes now that both countries have agreed to revamp the North American Free Trade Agreement. Just last week, the U.S. Federal Reserve raised the federal funds rate by 25 basis points to 2.25 and with trade war fears eased, Canada may do the same. “We’re going to have three rate hikes in 2019 and that’s starting to look less cautious,” according to Bank of Montreal economist Robert Kavcic. 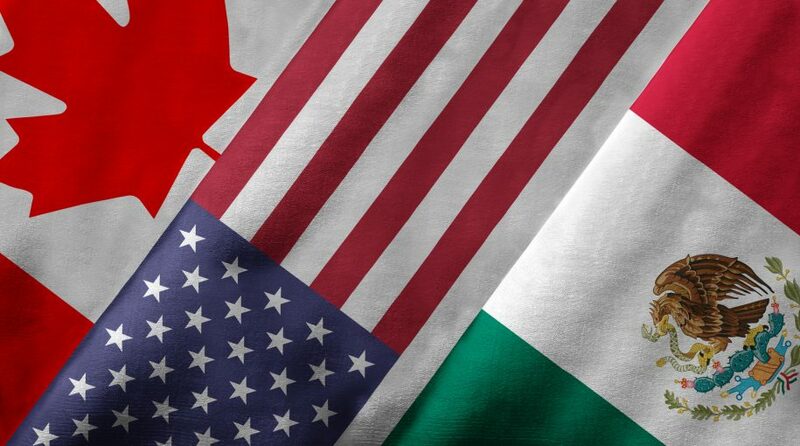 Both the U.S. and Canada have been negotiating to rework NAFTA after an initial trade deadline was set for August 31 that eventually extended beyond that date. In late August, the U.S. struck a deal with Mexico to effectively eliminate NAFTA and create the United States-Mexico Trade agreement–a deal that would likely move forward solely between the two countries if an agreement could not be reached with Canada. Last week, the general consensus in the capital markets was that the Federal Reserve would likely raise interest rates, which was eventually confirmed when the Fed capped off a two-day monetary policy meeting with the rate announcement. It is the third time this year the Fed has upped the ante on its rate-hiking policy, which is likely to continue for the rest of this year. One point of contention echoed throughout the markets is that the Fed could give pause to their rate-hiking measures if trade wars continue to be a concern. However, Fed Chairman Jerome Powell stated that any substantial impacts on the economy as a result of the tariffs have yet to materialize.